Real estate agents rely heavily on telecommunications devices. Agents must be in constant communication with clients and others involved in the real estate transaction process about topics such as cost savings, transactions and listings. They could always stand to benefit from improved client and internal agency communications. IP telephony can provide many benefits to real estate businesses. Managing different phone systems in multiple offices – each with their own voicemail systems, unique billing schedules and incompatible hardware – is a costly and time consuming task. IP telephony can dramatically reduce telephone costs and allow for greatly enhanced capabilities such as unified messaging and voicemail. 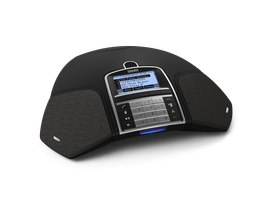 IP telephony implementation eliminates the need for multiple systems or networks. 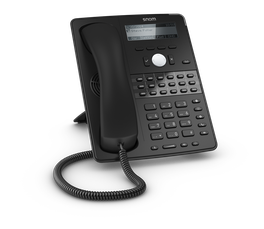 Snom telephones are designed for professional users, with features to accommodate those who spend extensive time on the phone. 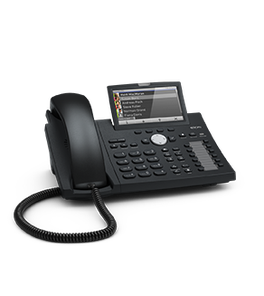 They are also compatible with a range of IP PBXs and IP service providers, allowing a common handset and set of features even if the IP switching solution is not identical in each office. Opening a new real estate office is a time consuming and costly venture. One of the many substantial costs may be the telecommunications system. If using pre-configured Snom IP telephones, a broker greatly reduces costs by not having to deploy separate phone systems in each office. New agents are simply assigned a Snom IP phone and added to the broker’s existing IP telephony system. This is especially significant when brokers acquire a new company. The process of migrating agents onto a new phone system using Snom IP telephony is quick and inexpensive.